The beach is full of weird and wonderful things to discover. It’s teeming with starfish, crabs and all kinds of bizarre critters. I don’t really need to tell you that do I? If you’re reading this you probably already love rockpooling or are ready to give it a go. Sometimes grown-ups are too busy having a cup of tea though and need a bit of persuading. It’s educational (OK, so you just want to find a monster crab and a deadly jellyfish, but they don’t have to know that). What better place to learn about science and geography? It’s healthy. Think of all that fresh air and exercise as you clamber over rocks and explore mysterious caves. It’s FREE. Now, that’s a killer argument for any adult. They won’t remember that there’s an ice cream van until it’s too late. If they’re still dragging their slippers, then say you are doing a science project: how about the rock-pool food chain? 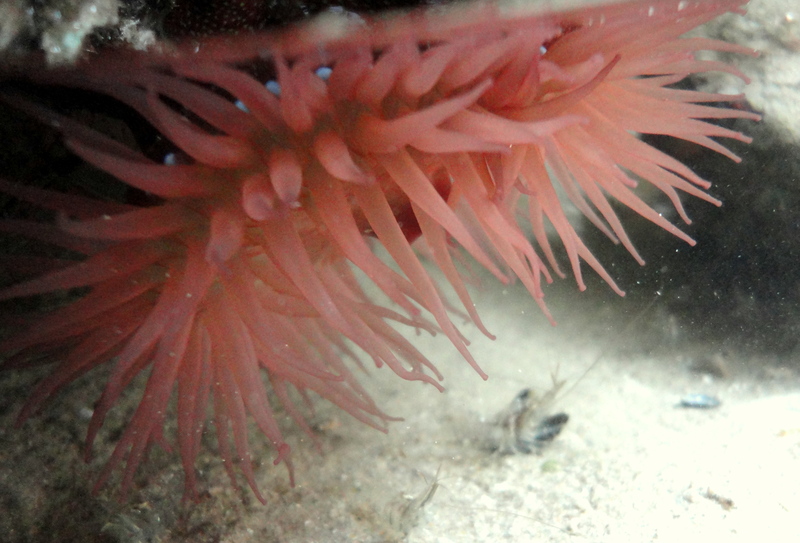 Have a look at the revolting rock pools page for ideas. 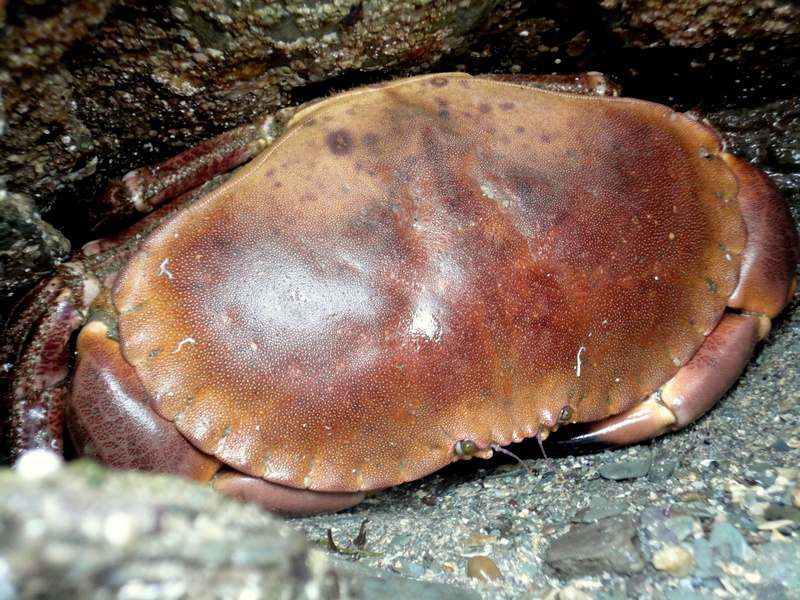 You might find an even bigger crab than this! 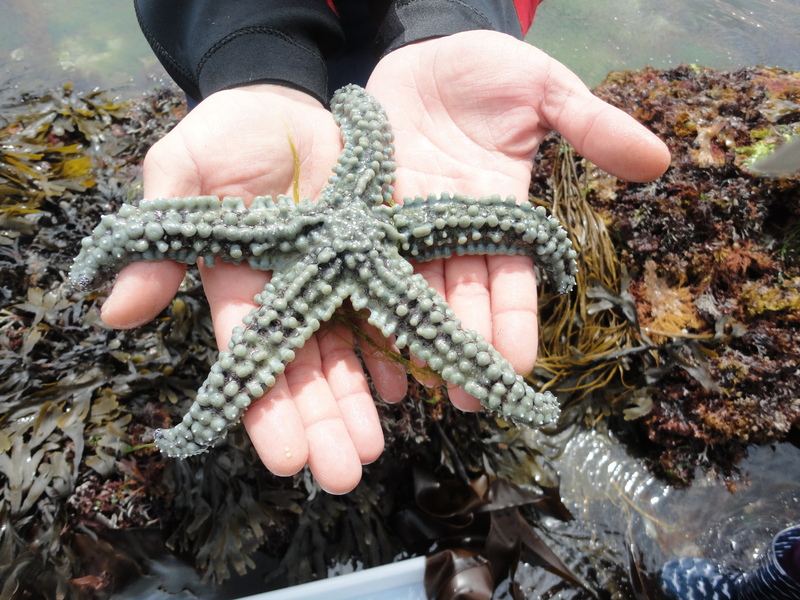 Cornish Rock Pools is working on some proper projects for you – fun things you can do at any beach to find out more about marine wildlife. 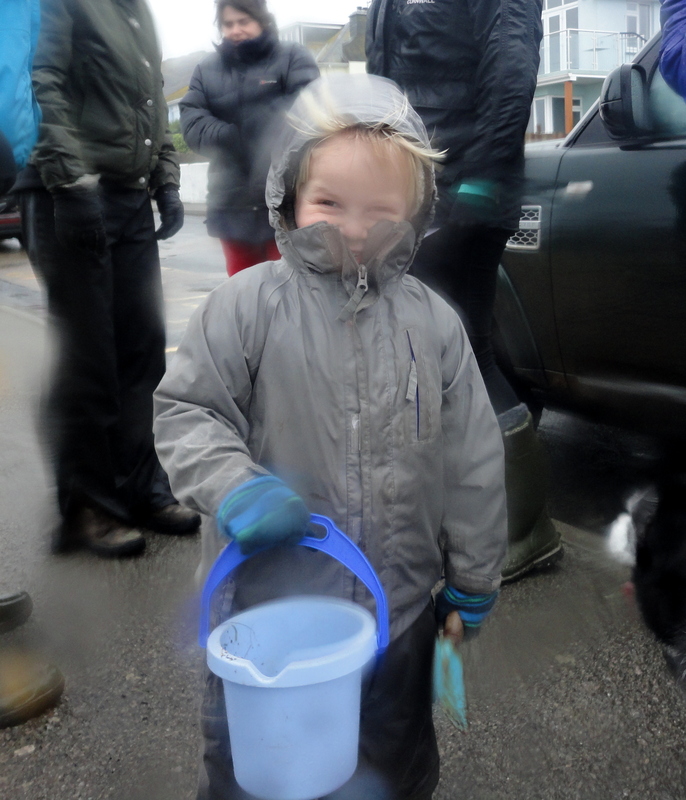 You can also join an rockpooling event – see the links page for organisations like the Wildlife Trusts and local marine groups that run regular safaris on the shore.